Flynn is the lovliest and sweetest Flatcoat I have ever seen. He is soft and tender, easy to handle and such a typical specimen of the breed. He was very successful in the showring from the very beginning and finished his Austrian Junior Champion and his Austrian Champion so very quickly. He constantly made his way beeing shown regurlarly. 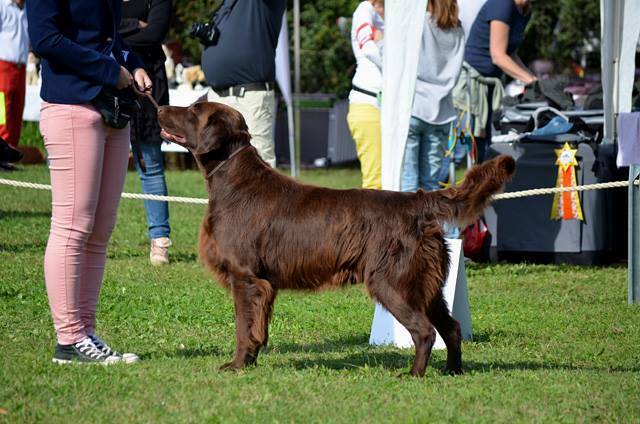 He is the most successful liver coloured Flat Coated Retriever in Austria so far. 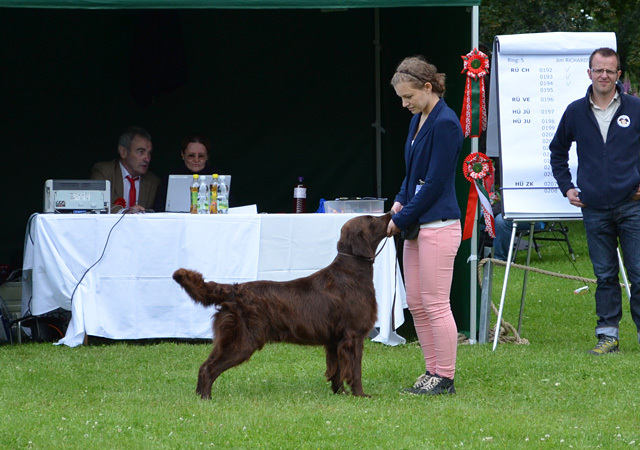 I owe my deepest respect to his owners Eberhard and Ulli Jungwirth who have become close friends of our family and to their daughters Hanna and Lena who developped into a really professional handler of all our Flatcoats if required. You always listened to our advice even if it sometimes must have seemed very hard to understand for you. Thank you for everything! It’s great that your are part of „Funstuff Family“! Due to Goniodysgenesis Flynn is not at stud but a dearly beloved pet and member of his family.